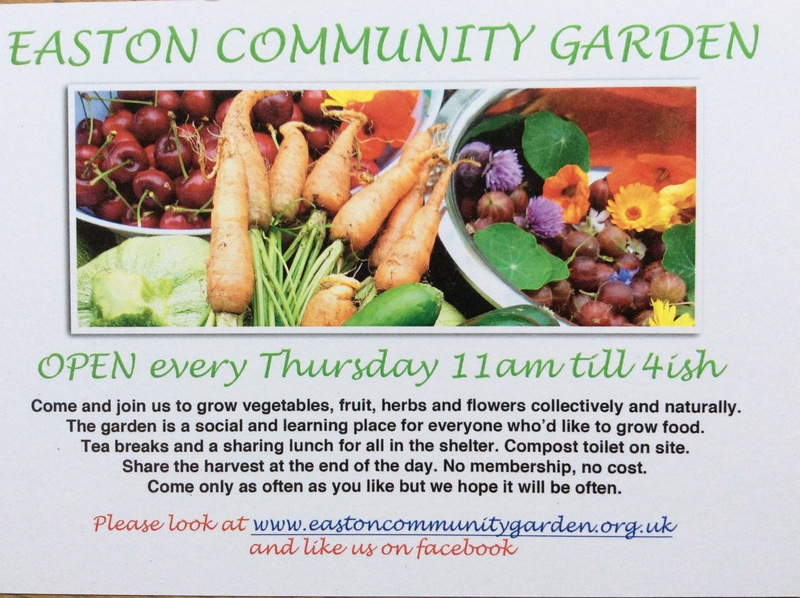 Easton Community Garden is open to anyone who would like to grow vegetables, fruit and herbs in a beautiful, quiet corner of Easton / Whitehall in Bristol. We encourage wildlife and use natural growing methods. You don’t need to know anything about gardening to come and join us, we all learn together and look it up in a book if we are not sure. We meet to work on the garden every Thursday throughout the year from 11am. There is no membership, no cost and you don’t have to commit to anything, just come when you can, but we hope it will be often. We are a sociable group, stop for tea in the shelter and share a vegetarian picnic lunch. At the end of the day we share out whatever harvest is ready to take home. There are lots of work gloves and tools but please wear stout shoes and bring a hat when the sun is shining and a raincoat when its wet. If you’d like to visit or join in there is no need to contact us in advance, just turn up on a Thursday. Click here to find out where we are.